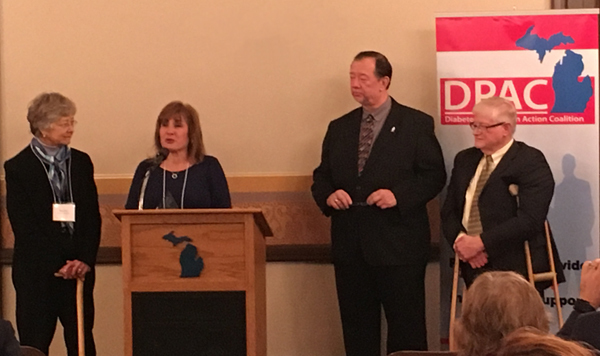 Susanna Robinson was the recipient of the 2017 Sally Joy Diabetes Leadership Award at the Diabetes Month Capitol Event on November 2nd. Susanna is the Senior Medical Science Liaison for Intarcia Therapeutics, Inc. She has been a committed and active DPAC member for more than ten years. She served as a DPAC workgroup co-chair, has been a long-time Board member, continually offers fresh ideas, moves projects forward, and educates consumers and professionals alike. Susanna is thoughtful, kind, and unwavering in her determination to make life better for all people with or at risk for any type of diabetes. 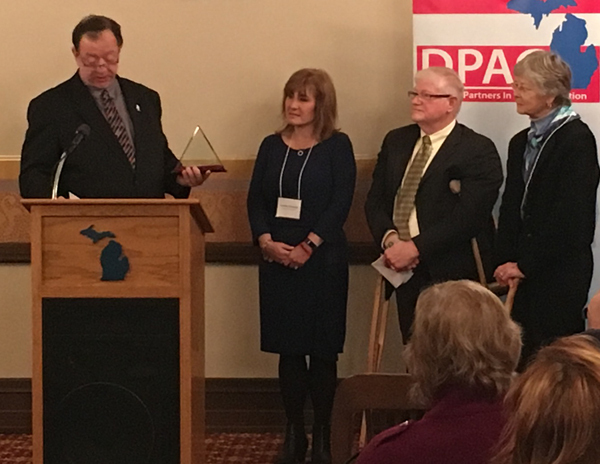 This award, presented jointly by the Michigan Diabetes Partners in Action Coalition (DPAC) and the American Diabetes Association, is given annually to those demonstrating passion for diabetes care and prevention. DPAC again congratulates Mark on receiving this award.